Sandra Gordon is a poet, but little did she know the irony of the last poem she wrote. 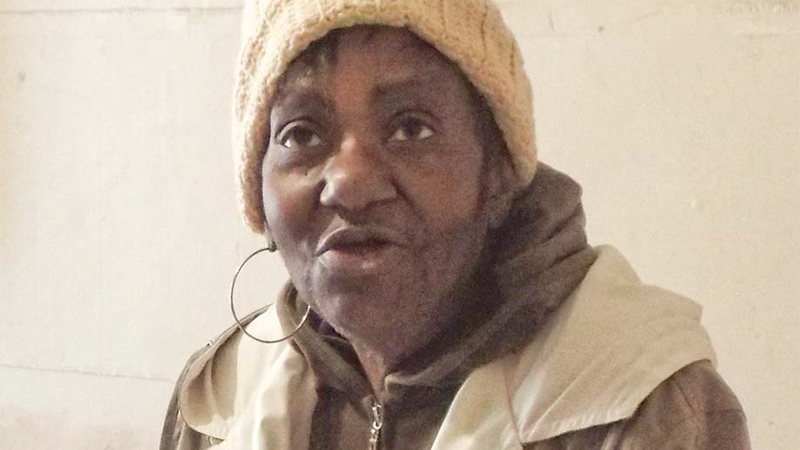 Gordon wrote of being in trouble and no one helping, but city police stepped up to save her from spending the night in an apartment without heat and made arrangements for her to stay somewhere until it was fixed. For a woman recovering from a heart attack and a broken leg, she said they were angels. Officers James Welch and Jeff Roberts were sent to her apartment about 11 a.m. Thursday for a welfare check. The two were referred by Senior Services of Mahoning County to check on Gordon because she had no heat. Roberts had been to her apartment the day before to take a burglary report. Gordon had a heart attack in which she fell down the steps and broke her leg. She spent about two months in the hospital and an additional 21/2 months in a rehabilitation facility before returning home Wednesday to find her apartment cleaned out. Roberts had offered Wednesday to take Gordon to the Rescue Mission of the Mahoning Valley, but she refused. When Roberts returned Thursday with Welch and saw that she was still in an apartment with no heat, they tried to help her. First, they got Gordon a warm breakfast because she had not eaten since she came home, then got some help from their supervisors, Detective Sgt. John Payne and Lt. Frank Rutherford, who both tried to find a solution to getting Gordon’s heat back on. Guy Burney, head of the Community Initiative to Reduce Violence, also assisted. Gordon said because she was in the hospital for so long, her bill went unpaid – which is why the gas was turned off. She spent the night before sleeping on the floor, she said. “I’d been sleeping on coats and warm blankets I have,” Gordon said. She has no one locally she can turn to for help, Gordon added. Eventually, Welch was able to call Dominion and make arrangements for her gas to be turned back on Friday. The officers also spoke to Protestant Family Services, who agreed to assist Gordon with making payments to Dominion. The report noted that the agency was “extremely helpful,” and also supplied Gordon with food, things to drink and other items to assist her. Burney also was able to secure lodging for Thursday night in a Liberty hotel and transportation for Gordon back to her apartment so she could meet the gas company when it arrived. Welch said he knew there were resources available to help, and he and Roberts did not want to see her spend another night without heat. As a police officer, Welch said it was what he signed up for – to help people. “It’s very rewarding to make a difference in someone’s life.” Welch said. Roberts said he was glad to be able to help out, and said he hoped that he did what anyone else would have done in the situation. “It feels good when you’re able to something like that,” Roberts said. He also credited Protestant Family Services, Burney and Rutherford and Payne as well. Chief Robin Lees said the actions of his officers Thursday are not an isolated incident. He said they frequently go out of their way to help people in need. In her poem, Gordon wrote: “When you see a man and he’s actually dying in the gutter, be honest, would it make you shudder? Gordon said she was glad someone did shudder and helped her out. “It’s like my prayers are being answered,” Gordon said. May 20, 2018 6:22 p.m.
December 15, 2006 10:13 a.m.